SBA Administrator Karen Mills and NASA Administrator Charles Bolden recently held a Google+ Hangout with a small business that helped NASA land the Curiosity rover on Mars. Staff from ATA Engineering joined the Hangout to explain their role in the Mars Science Laboratory and how small businesses can expand their markets by working with the Federal government. IRE and the Sunlight Foundation launched EconoCheck, a resource for journalists who want to fact-check the economic claims made by politicians. This will make it easier for folks to understand key economic indicators and how they are created. Also, there are links to the source data so journalists can download the files themselves. Bill Allison, Sunlight’s editorial director, blogged about how journalists can use the data to report on the things politicians say about the economy. "Unless all the requirements are met, a purchaser of business assets in a bulk sale transaction may be held personally liable for any unpaid sales taxes due from the seller." except for property intended for resale or property exempt from tax. cash, goodwill, or accounts receivable." Want to take your business to the next level? You should think about exporting. Your business has already succeeded in the most competitive market on the planet – the USA – so just imagine what you can do abroad. In foreign markets, you will find fewer competitors and you start with a significant advantage: consumers around the world trust the words "Made In America." There are free resources to help your business begin exporting, provided by the US government. To discover what is available, visit www.export.gov. Did you know that small businesses already account for more than a third of all America’s export sales? Today more than ever, overseas markets are business-friendly, ready to pay, and well-connected by technology. Seize the opportunity of a vastly larger market for your product with the resources found on www.export.gov. The New York State Department of Taxation and Finance has updated its free Voluntary Disclosure Program pamphlet (Publication 200). The program, highly successful since its launch in 2008, has a simple goal: To help individuals and businesses with state tax debts from prior year filings meet their tax obligations. The pamphlet tells you who is eligible and how to start the application process online. 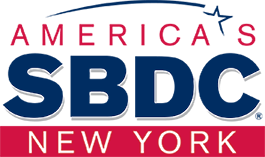 The SBDC Think Tank has been working with Bob Fangmeyer, Deputy Director of the Baldrige organization, and Dr. Kevin McCormack to complete a research study focusing on small business success. To date over 250 small businesses have completed the questionnaire. Dr. McCormack has published a preliminary report on the Small Business Breakthrough Project website. Small business owners: The Breakthrough Project is a SBDC sponsored national initiative that provides free resources to small business owners. In preparation for fuller analysis, the Think Tank is attempting one last push to encourage you to complete the survey questionnaire. The survey is only 20 questions, it is anonymous, and it takes only a few minutes to complete. Please help us by completing the survey now. The results will be shared with as they become available. Small businesses and often young firms seek novel sources for their financing needs, which includes home equity and other sources. View this Small Business Fact Sheet in its entirety. In November and December, more than 4 million businesses will receive forms for the 2012 Economic Census, the U.S. Government’s official five-year measure of American business and the economy. Response is required by law, and statistics that result will inform important business decisions and guide the development of effective public policy. Businesses in your area are going to have questions, and they may look to organizations like yours for answers. To prepare you, the Census Bureau is offering a special webinar on Thursday, October 11 at 1:00 PM EST. In just one hour, you’ll learn all about the Economic Census so you can help local businesses understand the value of Census data and prepare to respond. Complete information is available at business.census.gov, including industry statistics, videos and resources to help you reach out to your area. This site features story ideas and communications you can use through February 2013 when Economic Census forms are due. Learn more on October 11 when you join Census for a highly informative session. Get the details at business.census.gov/webinar. Mark your calendar now, and find out why response makes a difference. Small businesses continue to show signs of growth. Business births, self-employment, and proprietor’s income are rising, while business deaths and bankruptcies are declining. "When’s the last time you Google’d your own business? Set time aside today to search for your business name on Google. Review which websites are listing your business information, keep track of those online listings and update them when your company information changes. Consistency and accuracy are key to being found online by customers!" But try checking on different computers. Google will often give you the results it thinks you want. The U.S. Small Business Administration and AARP will team up Tuesday, October 2 to host the first National Encore Entrepreneur Mentor Day. The event is targeted at entrepreneurs over the age of 50 to match these “encore entrepreneurs” with successful business owners and community leaders for advice and assistance. To find a local event near you go to www.sba.gov/mentorday. National Encore Entrepreneur Mentor Day is part of a larger effort by SBA and AARP to promote entrepreneurship among individuals ages 50 and older. It will consist of events across the country that will match encore entrepreneurs with mentors who have small business experience. Events will include speed mentoring allowing mentors and entrepreneurs to share information for five minute sessions and mentor lunches for entrepreneurs to learn from successful business owners. The events also will help connect encore entrepreneurs with mentors from SBA’s network of Small Business Development Centers, Women’s Business Centers, and SCORE chapters who can help throughout the life of an entrepreneur’s business. With one in four individuals ages 44 to 70 interested in becoming entrepreneurs, and 63 percent of Americans planning to work during retirement, small business ownership is a good option. Small business owners with long-term counselors see bigger sales, hire more workers and last longer. SBA and AARP will provide the training and mentoring services older entrepreneurs need to successfully start and grow businesses and create jobs. All successful business leaders realize that, although things are quiet at the center, much like hurricanes, it’s always at the edges where the destructive winds are blowing. Management has learned to always be wary of all decision making systems that have been designed to work in conditions of low risk, stable environments and continuity. Like Newton’s eureka moment, which led to his famous theory of gravity, leaders know that stable circumstances never last and what they have created they must eventually destroy or a competitor will do it for them. Their eureka moments have led them to be the destructive forces at the edges of their own organizations. Small business owners and start-ups across the country can now take advantage of a new business tool to help them compete and grow. The free tool, called SizeUp, helps businesses identify new customers and compare their performance against other businesses in their industry with data collected from hundreds of private and public sources. • Finding the best places to advertise by choosing from preset reports to find areas with the highest industry revenue and the most underserved markets. Custom demographic reports can also be created. * category of governmental activity (more about governmental activities). With over 30 years in retail site location strategy, I used Census data every day to analyze business critical issues. Where do our customers live? How has that changed in the past decade, and what’s likely to happen in the next 10 years? What is the projected return on this investment? How skilled is the labor force? Can we predict sales behavior? How do customer demographics align with shopping preferences? How does community economic vitality impact company growth? Shopping centers, hospitals, housing developments, and infrastructure are built for the long-term and require careful location analysis and insights. This is very important now because the public data that business uses for analytics and investment decisions are at risk of significant cuts or elimination altogether, including the American Community Survey and the 2012 Economic Census. Your voice, the voice of business, can save the data by helping inform Congress of the importance of this data as economic growth drivers. Where are the jobs created? New or existing businesses? What is the level of availability and coverage of health insurance in small firms? Do economic or industry factors affect business survival? What is the difference between self-employment nonemployer businesses and sole proprietors? Read all about these topics HERE. The IRS office of Federal, State and Local Governments (FSLG) will address the requirements for submitting Form 1099-G electronically in a FREE one-hour phone forum on Tuesday, September 11, 2012 at 2:00 p.m. ET. No Continuing Education [CE] credits are available for this session. Following these procedures will satisfy the affirmative consent reporting requirements, save valuable time and resources, and improve customer service. You can pre-register electronically at the FSLG Phone Forum Registration site. Please register as soon as possible because space is limited. If you have any Form 1099-G questions you would like addressed, please email them to tege.fslg.phone.forums@irs.gov September 7, 2012, and they will try to answer them during the phone forum. How much do you know about American small businesses? Did you know, for example, that there are 27.9 million small firms, and that about half of all new establishments survive at least five years? In keeping with its mission to examine the contributions of small businesses to the U.S. economy, the Office of Advocacy has expanded and redesigned its most requested publication, Frequently Asked Questions About Small Business (FAQ). The new edition includes twice as much data as previous versions, as well as charts and tables showing key small business statistics and trends. Many key small business statistics remain virtual constants — small firms constitute 99.7 percent of U.S. employer firms, 64 percent of net new private sector jobs, about half (49.2 percent) of private sector employment, 42.9 percent of private sector payroll, 46 percent of private sector output, 43 percent of high-tech employment, 98 percent of goods exporting firms, and one-third of exporting value. The new FAQ includes data reflecting the numbers of new and small firms, their types, shares of net new jobs, and ownership by minorities, women, veterans, and youth. There are figures showing employment levels and survival rates by firm birth year, startups and closures, business churn, and companies’ legal forms of organization. The FAQ also answers questions about home-based businesses, franchises, small business innovation, financing, procurement, and effective tax rates. For more, visit the Office of Advocacy website. The Office of Advocacy of the U.S. Small Business Administration (SBA) is an independent voice for small business within the federal government. The presidentially-appointed and Senate confirmed Chief Counsel for Advocacy advances the views, concerns, and interests of small business before Congress, the White House, federal agencies, federal courts, and state policymakers. Regional advocates and an office in Washington, D.C., support the Chief Counsel’s efforts. For more information, call (202) 205-6533. Like many entrepreneurs I know -- especially chronically right-brained types -- I struggle with a short attention span. Oh, yes, attention span... .
My noisy business owner's head and ever-wandering imagination often make it difficult for me to focus (much less "laser-focus") on specific tasks or issues, especially if they're analytical, operational, or otherwise boring and soul-sapping to me. But running a business requires paying attention to things we love and things we hate, and I know I can't just do the fun stuff. Unless you've been sleeping in a cave for the past few decades, you're probably aware that Social Security has some funding challenges due to the aging of the baby boomers and the slowing of the economy. Now you can learn how to shore up Social Security by using AARP's online tool, Strengthen Social Security. This easy-to-use program allows you to "play lawmaker" and make various adjustments to benefits and contributions. It then shows you how much of the Social Security deficit could be reduced by making your various changes.